Philadelphia is known for exquisite cuisine of all kinds. The team at High Street on Market rank right at the top with some of the very best! Dining at High Street is upscale yet comfortable, and the food is over-the-top delicious. You could get lost in their selection of wines, and they even have an entire section on their menu dedicated to the fresh breads baked right in their very own hearth. Their simple elegance is reflected everywhere, from their dining experience to their logo (although you can bet that the flavors of their dishes are anything but simple)! High Street called Synergy Print Design when they needed to add that special ingredient for successful marketing. We printed up these custom restaurant t-shirts, which their staff wear with pride as they serve you delicious meals. 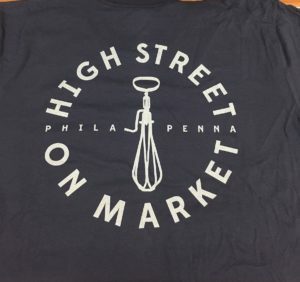 The next time you find yourself in Olde City Philadelphia, stop by their 3rd street location and keep your eyes peeled for our shirts as you enjoy your meal. 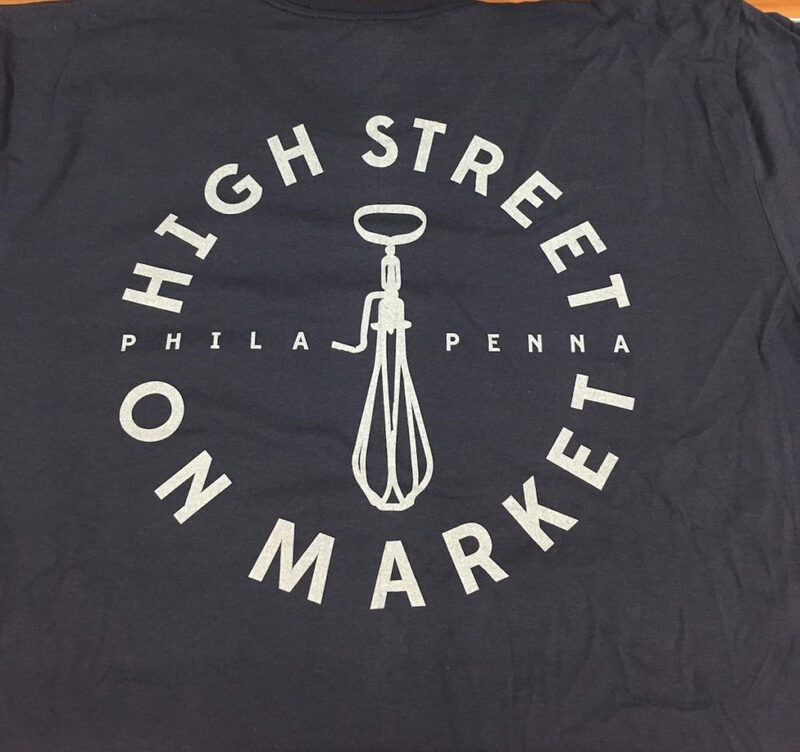 We’re happy to continually be a part of High Street on Market’s recipe when they need to make a statement! Click here for your free quote on custom restaurant apparel by Synergy Print Design!